To freshen it up. Search engines value fresh (high-quality, original) content, whether it is on your service and landing pages or in form of resources (e.g. blogs). Google will index your site more frequently and reassess your position in the results pages. Remember to keep content quality high and update regularly. Adding new content a few times per week is ideal. To make it responsive. If you’re not responsive, you’re not going to capture mobile users. More prospects are on-the-go as they search for local businesses. Strip your design of any extraneous “fluff,” simplify it, and make sure the design functions properly on devices across the board. To build your brand. Use your website to increase visibility and credibility with both search engines and patients. Your website should support your marketing and business goals. Add an “About Us” page, introducing your team (partners, nurses, staff, office managers, and other key players). Put a face to the names. Also, highlight patient testimonials, before-and-afters, and reviews; research shows, again and again, that people trust their peers over brand adverts. Use existing patients as a conduit in building that trust. To give it a complete makeover. Maybe you’re stilling using HTTP instead of HTTPS; maybe your navigation is clunky and your pages are too text-heavy. Maybe your code or content is not optimized for SEO, the site is slow, or the appearance and user experience is outdated. This isn’t the brand image you want to convey. There are any number of reasons your website could use a few procedures of its own to look and perform at its best. An experienced web design agency can complete a website audit for you, identify areas that can be improved, and help you launch a more effective site that will grab attention and drive your business-building goals. 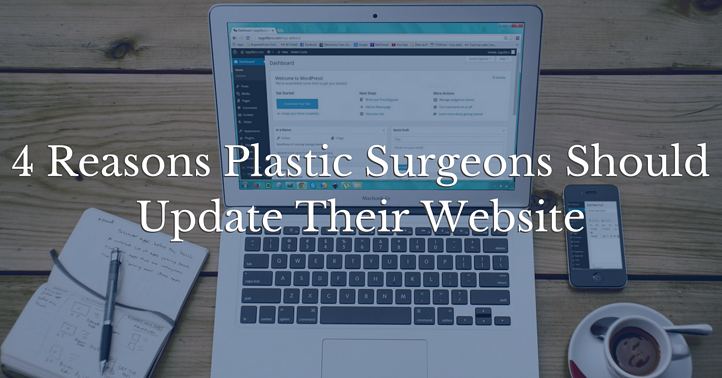 Is it time to rethink your plastic surgery website design? When you do, you’ll find your own before and after results are astonishing!